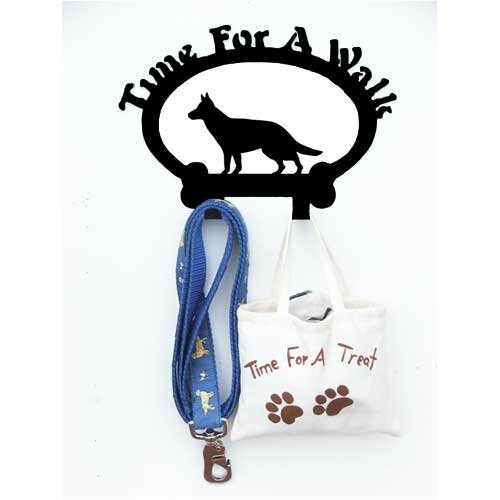 Time for a Walk leash hooks are made from 16 gauge steel with black satin finish suitable for indoor or outdoor use. These attractive hangers measure roughly 9.5x6.5 inches. With two sturdy hooks for leads, coats or whatever needs to be kept handy and two drilled holes for mounting (hardware not included).